Boxycharm has released a whole bunch of awesome spoilers for its September “Fashion Week Fabulous” Box! First up we have Tarte Cosmetics LipSurgence Lip Gloss! Each Boxycharm subscriber will be receiving one full-size LipSurgence lip gloss in “Blushing Bride”, “Exposed”, “Tipsy”, or “Park Ave Princess” each valued at $19! I have my fingers crossed for Blushing Bride, but to be honest, I’d be happy with any of them! Next, we have nail polishes from an all-new “Runway” collection by NCLA Nail Lacquer (a $16 Value). You’ll be receiving one of these glamorous shades Call My Agent, Catwalk Queen, or Model Behavior! I’m actually really intrigued by the greenish Model Behavior color and hoping to get that one! Next we have Coastal Scents Go Palette ($13 Value, on sale right now for $9)! Inspired by Paris, Beijing, Cairo, London, and Moscow, each charmer will be receiving 1 palette with a built in mirror and 12 eyeshadows. They all seem pretty cool to me, with some overlapping colors. I guess if I had to pick, I would opt for Bejing with those dark smokey shades or Paris for it’s combo of neutrals and brights! All in all, I was happy to see these sneak peeks for the Boxycharm September Box! I am loving the Tarte LipSurgence Gloss most of all, and have my fingers crossed hoping for the shades I want and some other great items that we have yet to see! Are you signed up for Boxycharm? 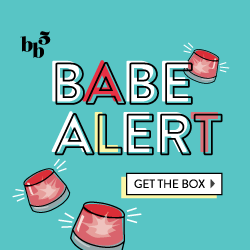 See past reviews here or click here to sign up and get the amazing September Box! Boxycharm has become my favorite as well!